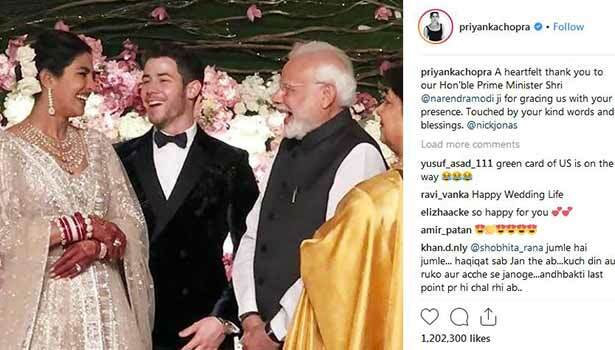 Famous Bollywood and Hollywood actress Priyanka Chopra married American singer Nick Jonas last week in Jodhpur city in Jaipur. The couple's wedding reception was held at Taj Palace Star Hotel in Delhi. The invitation was sent only to the most important personalities and close relatives of the film industry. Prime Minister Narendra Modi greeted the bride to this reception and posted this information on her Instagram page.